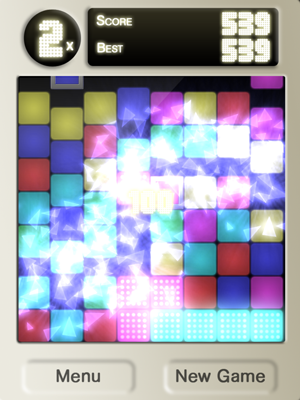 Disco Squares is a challenging puzzle game that presents you with a grid of lighted dance-floor tiles and tasks you with shifting rows and columns to form groups of four or more of the same color, which can then be shattered in spectacular fashion. At first this is easy, but as you progress locked tiles that can’t be moved appear. If you don’t keep the number of locked tiles under control, progress will become impossible and it’ll be game over! Luckily you also have at your disposal special power-squares that can shatter all surrounding tiles, or all tiles of the same color. In classic mode, shift rows and columns to eliminate groups of 4 or more of the same color. The challenge comes from locked tiles that can’t be moved. Too many of these and you won’t be able to make any progress, at which point it’s game over. 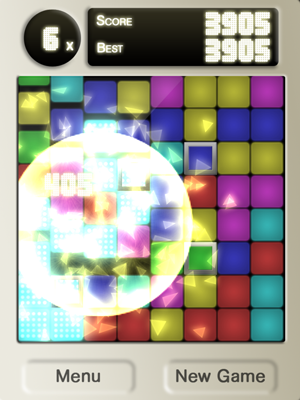 Utilise special power-squares to boost your score and keep the number of locked tiles under control. 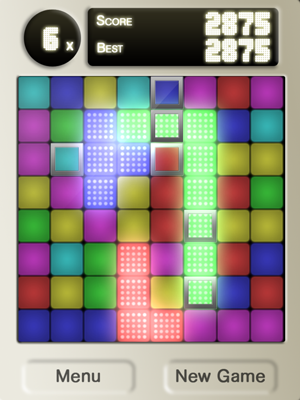 In puzzle mode you start with a randomised grid that must be rearranged to match a given pattern. Nine distinct puzzles are provided, some trickier than others. 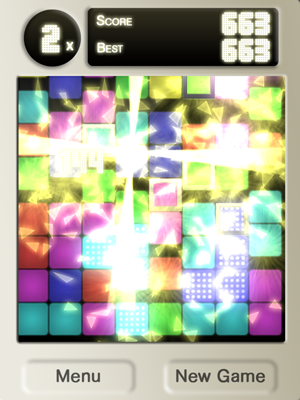 Endless mode is a more meditative version of classic mode, where the number of locked tiles is limited so the game is guaranteed to end only when you want it to. Energetic, procedurally arranged music is different every time you play. Game Center leaderboards, so you can compete with your friends. Universal app with hi-res graphics on iPad and Retina Display devices.